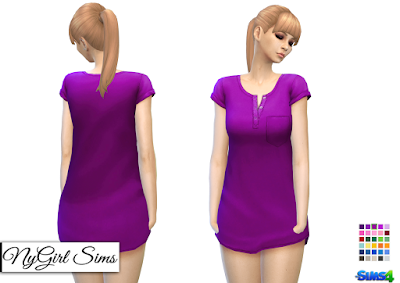 I love night shirts, and since we don't have enough of them in game I created this one. A short sleeved night shirt with pocket and button v neck. Made from a mixture of TS4 textures. Mesh edit by me. Comes in 30 colors.